Vietnam is building its future with blockchain, and the energy and enthusiasm observed at the Blockathon is all the proof you need. 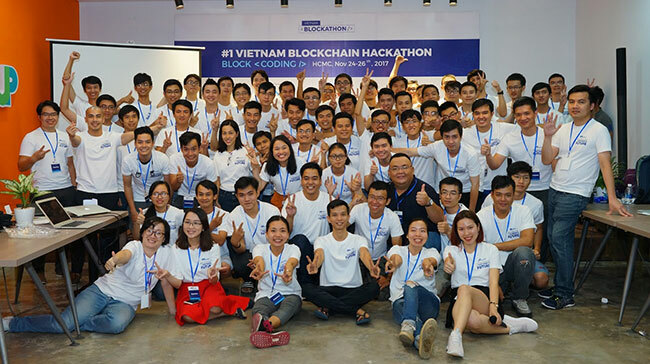 47 teams from Hanoi and Ho Chi Minh City competed in the first-ever blockchain with 19 teams advancing to the final 36-hour sprint and presentation round over the weekend. A winner was crowned and the insatiable appetite for Vietnam blockchain only increased amongst attendees and participants. 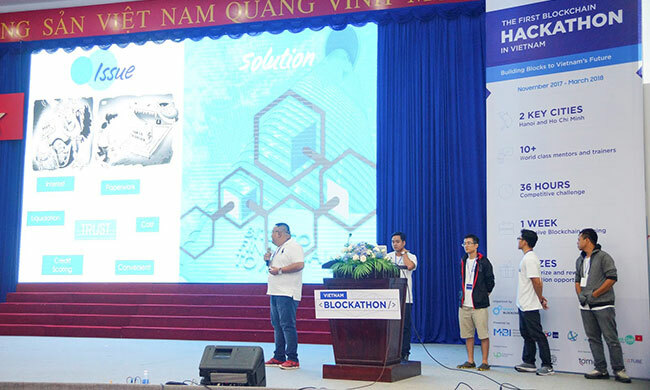 Blockathon, Vietnam’s first ever blockchain hackathon, aimed to share understanding and excitement for the technology’s revolutionary power. The event was co-organized by Infinity Blockchain Labs (IBL), Mekong Business Initiatives, Saigon Innovation Hub and Fintech Club Vietnam in Ho Chi Minh City and Hanoi. Proteusion, Ohmni Labs (AI x Blockchain), Tomo App, Up Co-working space & Blockchain Partners Korea were valuable sponsors providing important resources. 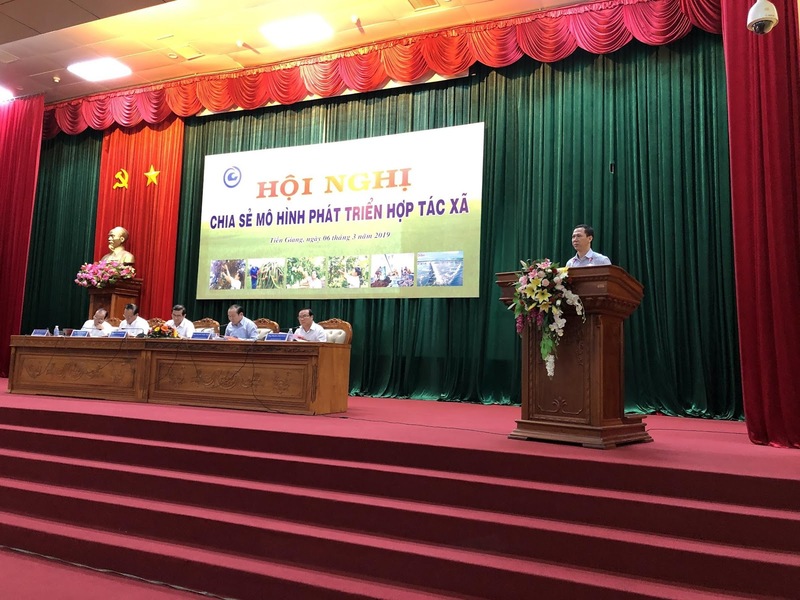 A total of VND 200 million in prize money and an option of valuable three-month post-contest incubation programs are made available to teams that presented the best Vietnam blockchain proof of concept and demo after a week of intensive blockchain training led by industry experts. 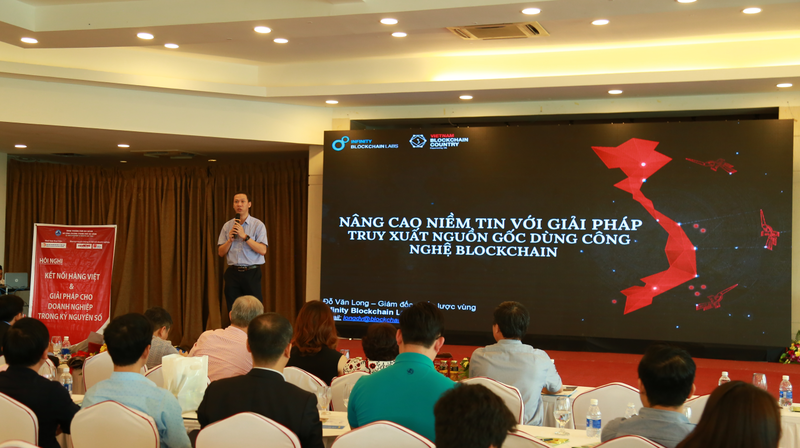 A packed Vietnam blockchain kickoff event officially launched the Blockathon on November 17. Industry experts at the event shared blockchain facts and information to inspire students and entrepreneurs to join. The event was followed by a week of intensive training by experts from inside and outside the Vietnam blockchain ecosystem. During the week, students learned the theoretical and practical basics behind the technology including Ethereum and Smart Contracts. They also received important advice on smart contracts and Ethereum, business development and marketing. Ha Bui, IBL technical leader and one of the week’s trainers was amazed at how quickly the teams learned. “It was incredible how fast they developed – it was as if I was watching evolution in hyperspeed” she said. The well-rounded training gave participants the necessary knowledge and skills to not only understand and take advantage of blockchain and how to apply it to real-world skills, but also how to present their visions clearly and with confidence. The need for collaborative skills reflects an important aspect of blockchain – it is one of cooperation. They had to develop complementary abilities in the same way that the Blockathon relied upon complementary partners to succeed or Infinity Blockchain Labs builds cooperative partnerships to produce products like Blockpass. When the week of intensive training was completed it was time to move towards the coding and presentation prep for the final round. All the teams had to take a test to show firm a grasp they had on the blockchain fundamentals needed to produce a sound case-study. 19 teams were identified as having good chances to capture 1st place and moved on to a 36 hour sprint. 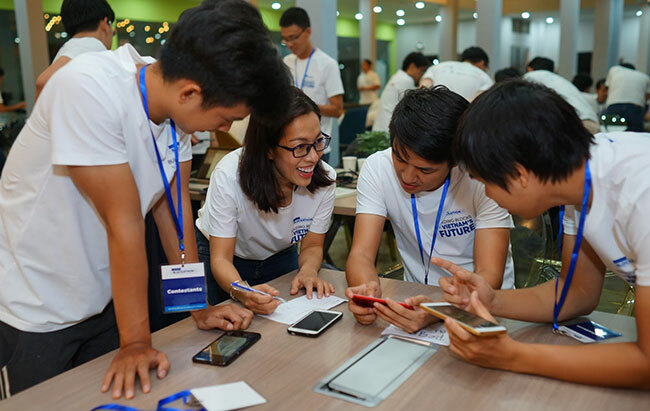 Simultaneously in Hanoi and Ho Chi Minh City, the students raced for a day and a half to code their ideas and create a polished, multi-media pitch as overseen by their mentors. There was little sleep, but plenty of energy as the students debated ideas, tested technical concepts and rehearsed explanations. The teams were too excited to be exhausted after the coding sprint because of the final round. The groups gathered to give four minute pitches that explained their projects. The diverse topics included loyalty points, time shared models, entertainment and record keeping. They were judged on criteria such as quality of code, feasibility, scalability and social relevancy of idea and general presentation skills. The expert panel of international and local judge panel consisted of Loi Luu – CEO & Co-founder, Kyber Network; Tran Huu Duc – CEO, Vietnam Innovative Startup Accelerator VIISA; Robert Vong – Co-founder, Blockfin Asia; Van Dang – Founder & CEO of Savvycom; Matsui Joutarou – CEO of Proteusion Research and Development; Thuc Vu – CEO Ohmnilabs; Thomas Leiritz – CTO, Blockpass IDN. The selection process was extremely difficult, but in the end, the UCLEAR team won thanks to their crowdlending platform that relies on blockchain technology. Their platform aims to streamline the lending process in Vietnam while increasing trust and accountability amongst all partners. SORA was the runner up for their lending circle idea, and second runner up was tie between INFECTION for their loyalty points system and GENSTACK for their work with health care records. Consolation prizes went to GUARD PAY and FIGHT TOGETHER, both of which worked with loyalty points. The Blockathon is a crucial part of IBL helping to propel the Vietnam blockchain ecosystem forward. Thanks to the event and efforts like monthly workshops, university courses and speaking engagements, IBL is simultaneously raising the profile of Vietnam Blockchain while establishing themselves as the go-to source of information and inspiration. The aim is to produce a global hub for the technology, as powered by smart, motivated blockchain enthusiasts and regulators. We provide information about Infinity Blockchain Labs' latest activities as well as global blockchain news and research. Subscribe to our newsletter now. 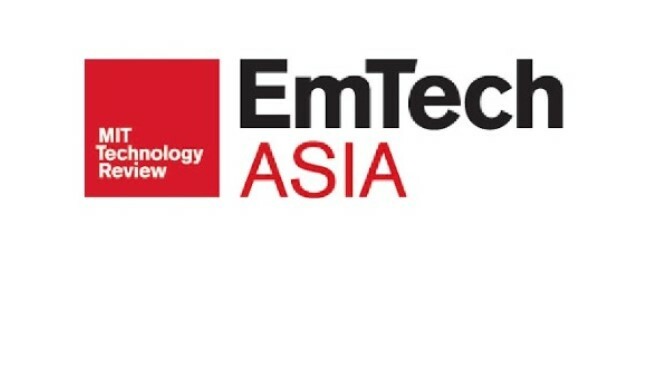 IBL Plans to Impress at EmTech 2019! © 2019 Infinity Blockchain Labs. All rights reserved.